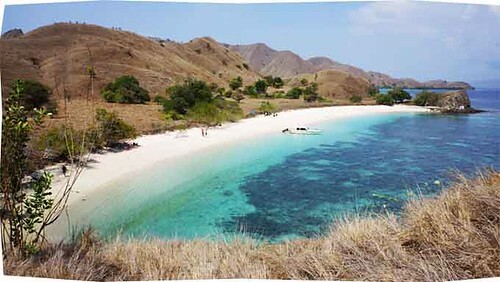 Traveljunkieindonesia.com – Komodo National Park waters located on the equator get enough sunlight with the stong current and low sedimentation, providing a lot of plankton and oxygen needed for coral and many other marine organisms. This high level of nutrient significantly creates the richness of marine biodiversity, includes more than 1000 species of fishes, 380 corals, and 8 species of seagrass. The Park also become habitat and migratory route for about 24 species of whales and dolphins. 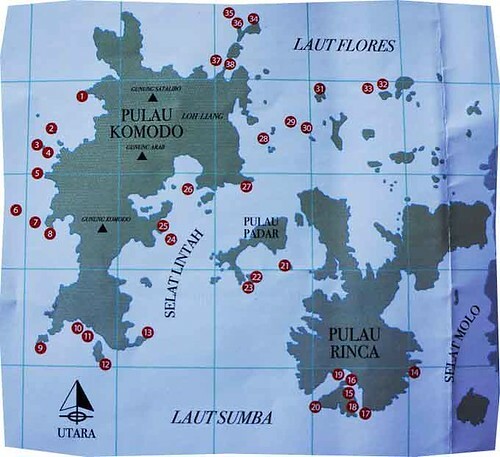 Dugongs, whale-sharks, manta rays, sea tutles, Napoleon wrasses, giant clams, and triton also could be found here. A big thank you to Ministry of Tourism and Creative Economy and the others for the excellent International Travel Bloggers #Travel2Indonesia. So, free to comment and add some of your experience in Komodo National Park.